Let's be honest here chaps; some of us aren't as trim as we may once have been, or wish to be. This can lead to occasional sad feelings, particularly when encountering an ex partner who seems to be as thin and as gorgeous as they were at 18. Damn them to hell. Say, for example, you have a wedding to go to, one you know will be attended by old flames and friends you want to impress. Do you go the gym solidly for a month before the big day? Nah, you pop a compression vest on under your suit, thereby trimming your growing beer belly by a few inches and maintaining your reputation as The One Who Never Seems To Put On Any Weight. 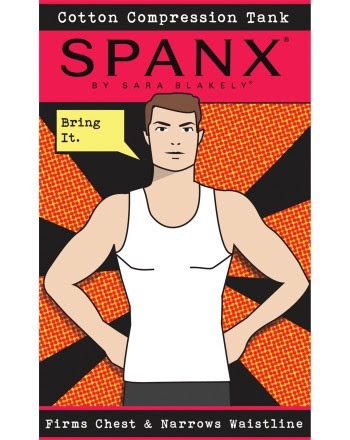 Yes, Spanx - the company that makes things to hold in ladies' most embarrassing parts - now does the same for men. 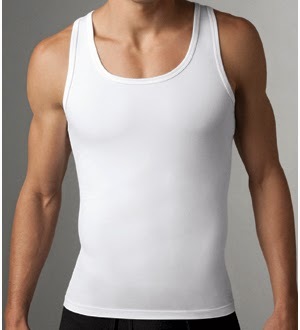 Whereas the female counterparts tend to focus on tummy and thighs, the Cotton Compression Tank restrains male flabby parts like stomach and chest. And, fortunately, you won't look like a total twonk, not even if people see it under your clothes. 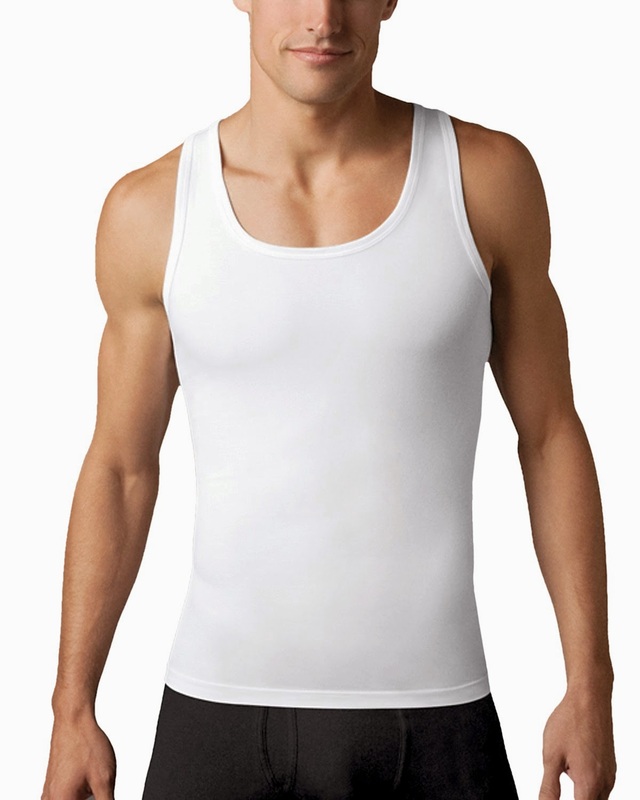 The Spanx Compression Tank is basically a standard vest, so looks just right under thin clothing like shirts and t-shirts. The stretchy cotton wraps tightly to your form and at first go feels a bit odd. We tested a large size, and on slipping it on realised it felt more like a medium. But this is what the Spanx Tank does; shrinking you down a bit in the most comfortable way. The secret is the blend of cotton (81%) and spandex (19%), making it breathable and comfortable, while also retaining a great amount of compression. It will never make a 25 stone man look svelte, but by flattening lumps and bumps it goes a long way to giving a chap a bit more confidence in his body. "New from JML..." That's what you hear on the TV adverts and in the promotional videos in shops, but JML have actually got some quite interesting kit. One we're particularly interested in (for testing, not because we're a bunch of fatties) is the Zone Breathable Compression Top. Performing a similar job as the Spanx top, JML's offering has longer sleeves and seems to compress in slightly different areas. Although the pressure is still on the chubby tum-tum, there is also a feeling of support around the kidneys and shoulder blades. So back fat is also nicely dealt with. It's the same story as with the Spanx when it comes to sizing. A large will feel like a medium until you get used to the pressure, but we found that the JML Breathable Compression Top wasn't as breathable. 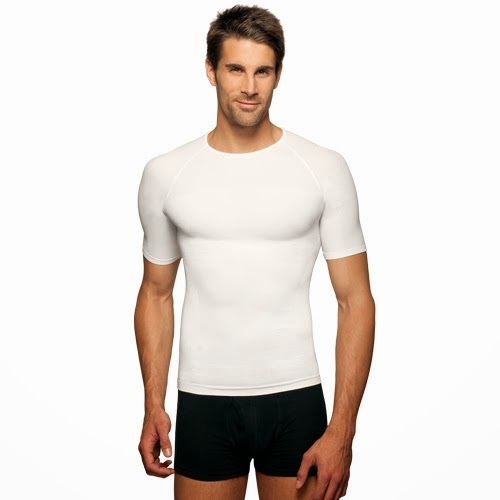 This may be because instead of soft cotton, this is made from slightly more coarser polyamide, with 5% elastane. Still, it was only when the actual temperature rose that we felt the heat from the top. But, at less than half the price of the Spanx, pretty decent.